Situated in the Gulf of Guinea in Port-Gentil and Pointe-Noire, our business specializes in the sale of commercial hulls for players in the oil sector and recreational sea craft for those who want to take advantage of the pleasures offered by the West African coast. Our team meets your needs for all requests about marine parts. Located in the middle of the Gulf of Guinea, we have a logistics department can deliver your boat across the West African coast. 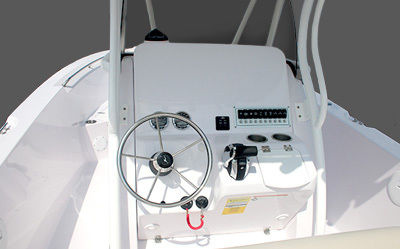 We are able to perform all repairs or modifications on your boat. TradeConcept is the official West African distributor of Workskiff Inc., producers of aluminum hulls for commercial usage. The Workskiff hulls combine durability, efficiency and profits – vital factors in protecting your investment. 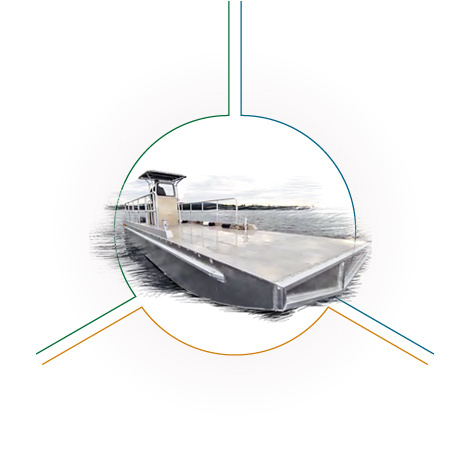 Workskiff offers a variety of products and services, including: river and costal activities, transportation of goods and passengers, maintenance, exploration services and various maritime engineering services. With a 5m to 12m size, these hulls are a priceless tool for any business which wishes to carry out maritime transactions. Fishing, riding along the coast and sea sports are some of the best ways to enjoy the Atlantic Ocean. We are highly experienced in the importation of recreational vessels fitted with either a cabin or a center console. 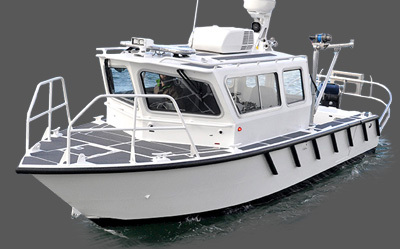 Our vessels are U.S. Coast Guard approved and fully equipped for safe seafaring !